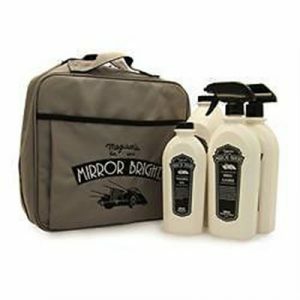 This New Meguiars Mirror Bright collection contains four carefully chosen products to help you clean, polish and protect your car wheels and bodywork all stored in a great Meguiars Mirror Bright logo carry case. 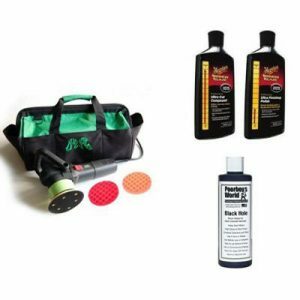 Meguiars Mirror Bright Wheel Cleaner is a sure bet for cleaning all automobile wheel types. Strong yet gentle cleaning comes from the use of pH balanced soaps and a special ingredient that dissolves brake dust and rust remnants. Excellent on: chrome, polished aluminium, painted, etc. etc. wheels. Meguiars Mirror Bright Detailing Spray gently cleans both exterior AND interior automobile surfaces and finishes. Our no-scratch formula is safe for all paint types, including lacquers, enamels and clear coats. Excellent for removing bird soiling, grime and other contaminants from paint finishes in-between washing. 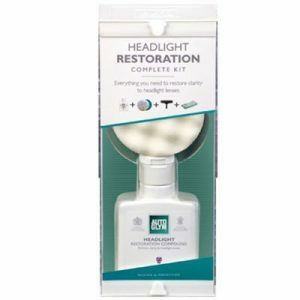 Mirror Bright Detailing Spray is also the smart choice for keeping automobile interiors clean and tidy, including instruments, gauges and screens! Meguiars Mirror Bright Polishing Wax gently polishes painted finishes to reveal maximum gloss, depth of colour & mirror-like reflections. Unique natural and synthetic ingredients deliver outstanding wax protection that locks in the shine. Safe for all shiny paint colours and types, including lacquers, enamels and clear coats. Meguiars Mirror Bright Automobile Shampoo is formulated for all automobile finishes, using chemistry that’s been refined by over 110 years of experience and R&D. Our rich, carnauba milk formula allows one to not only clean, but also wax while washing. Recommended for regular washing and as the perfect accompaniment to fortify the finish of Mirror Bright Polishing Wax. This size container is superb value new bottle size which is equivalent to 3 standard bottles, representing a great saving.